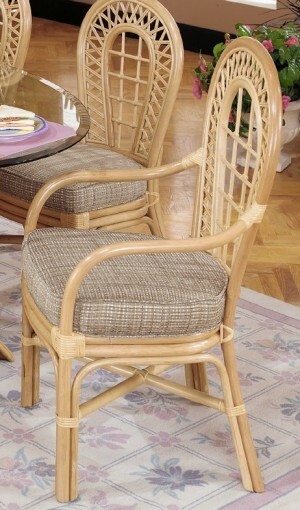 If you are looking for a chair that is practical but still a bit unique, you may want to consider one of our rattan chairs. 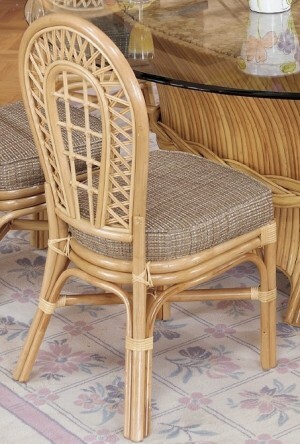 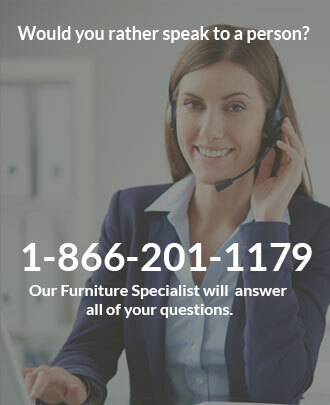 The rattan chairs that we produce differ from the standard wooden dinette in order to offer you something new and unique while giving you the same functionality and quality of all of our casual dining chairs. 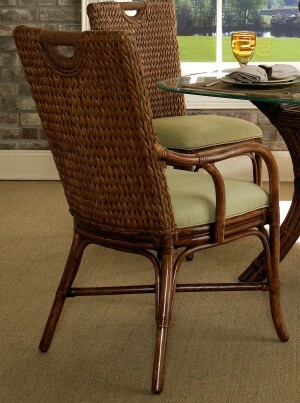 The wicker chairs are finished in dark and light shades and will bring a fresh new look to any kitchen or dining room the minute you have them delivered and set up. 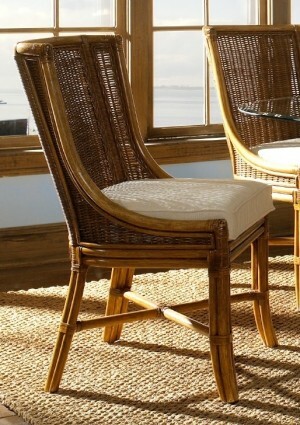 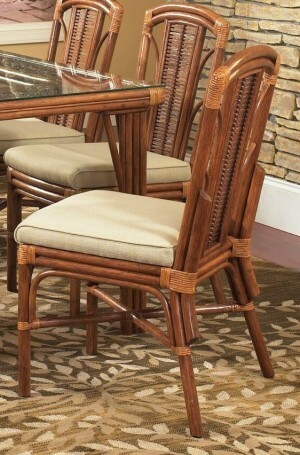 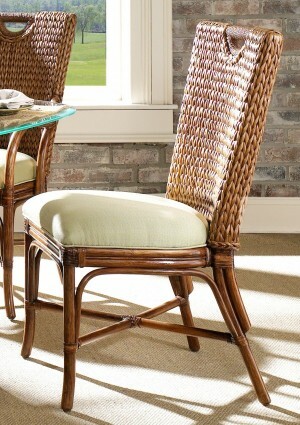 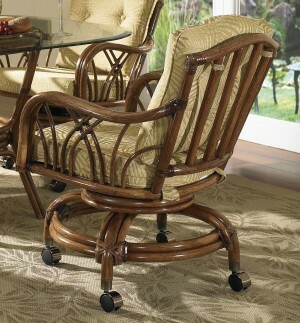 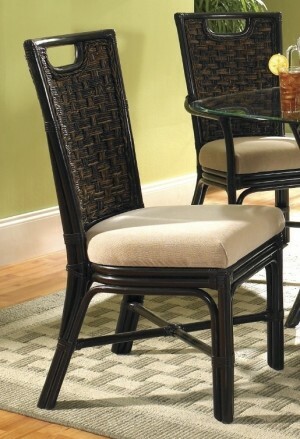 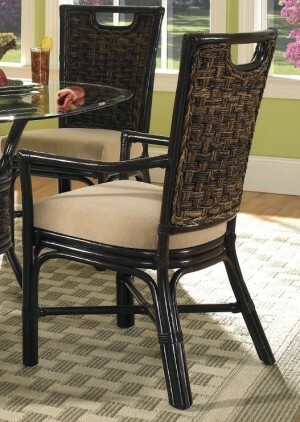 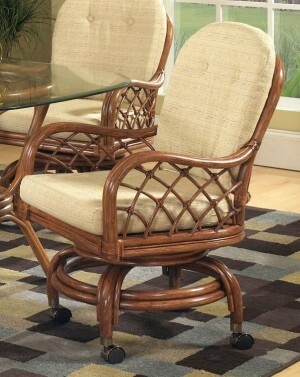 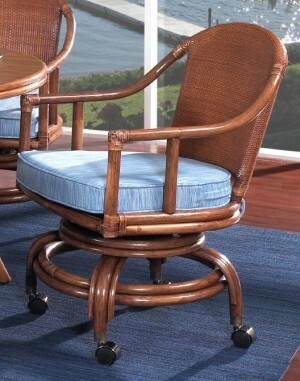 All of our rattan chairs are available in a variety of colorful and neutral fabrics. 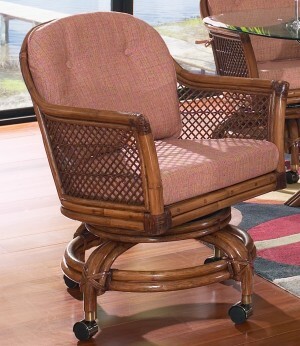 Some of the rattan chairs we carry are standard four legged chairs, and we also carry many comfortable rattan swivel tilt caster chairs with thick quality cushions.